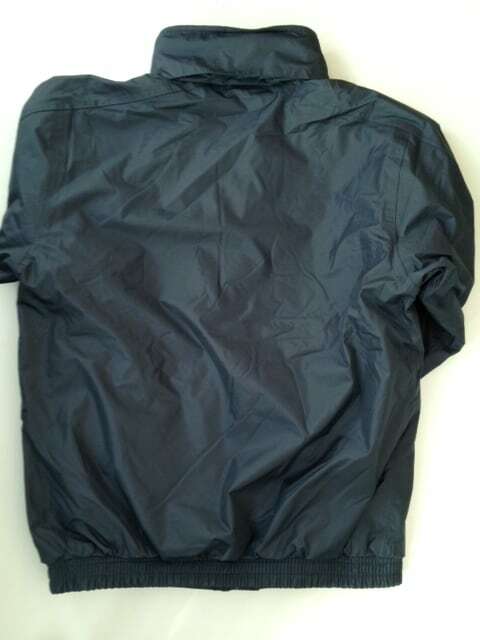 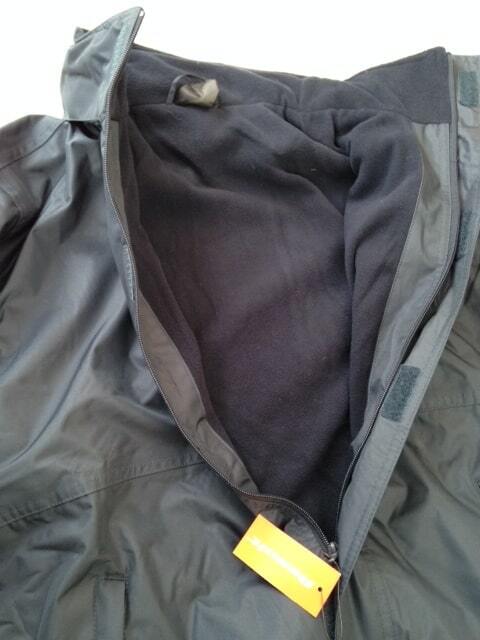 Main zip up front, with velcro flap to conceal the zip. 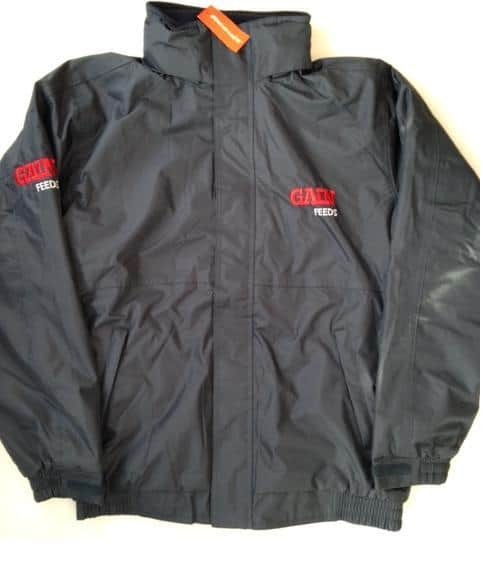 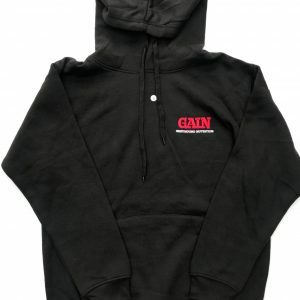 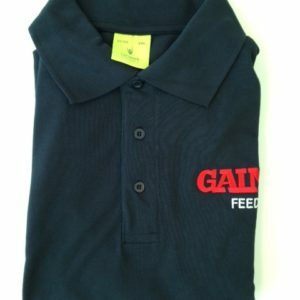 The well known ‘Gain Feeds’ logo brand on the chest & on one of the arm sleeves. 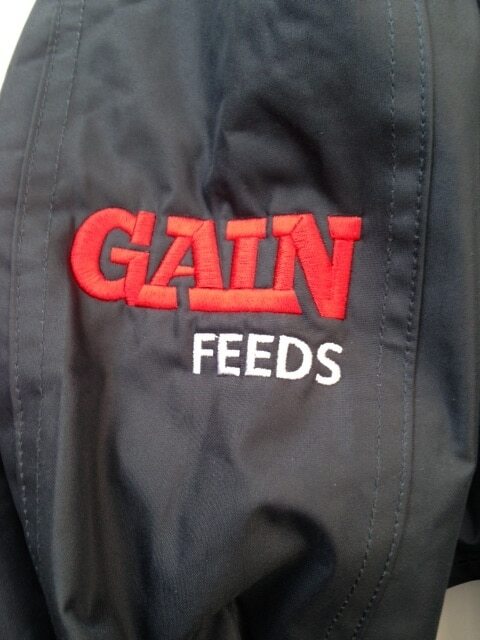 Gain Feeds is a big selling feed brand in the greyhound world. 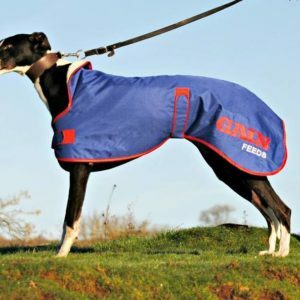 Providing complete nutrition for the racing or retired greyhound.